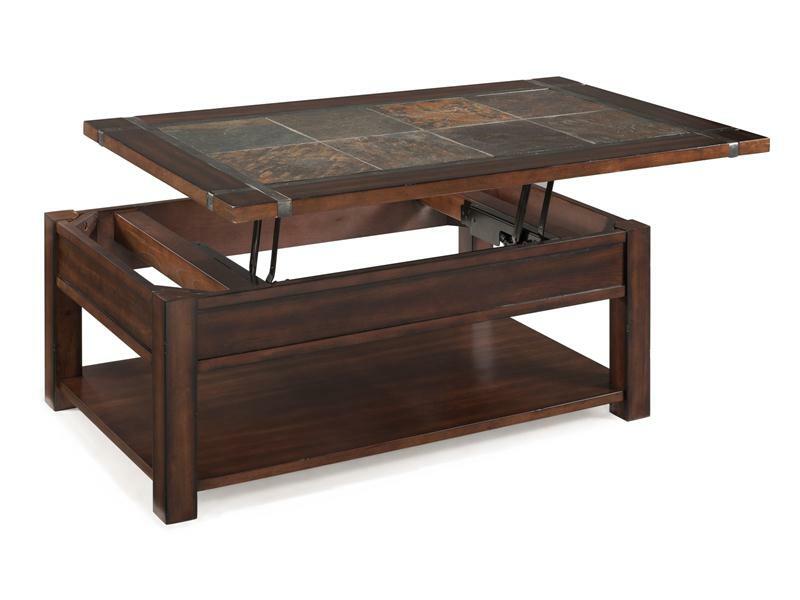 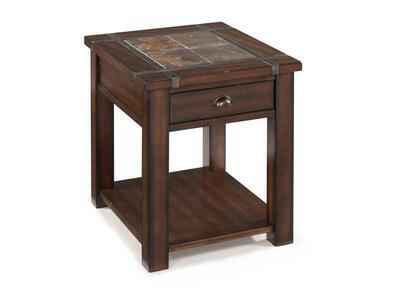 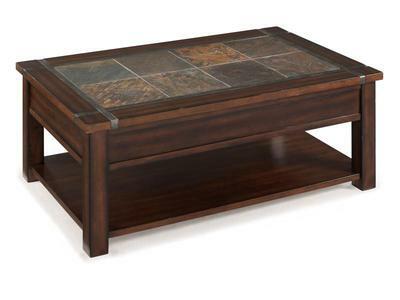 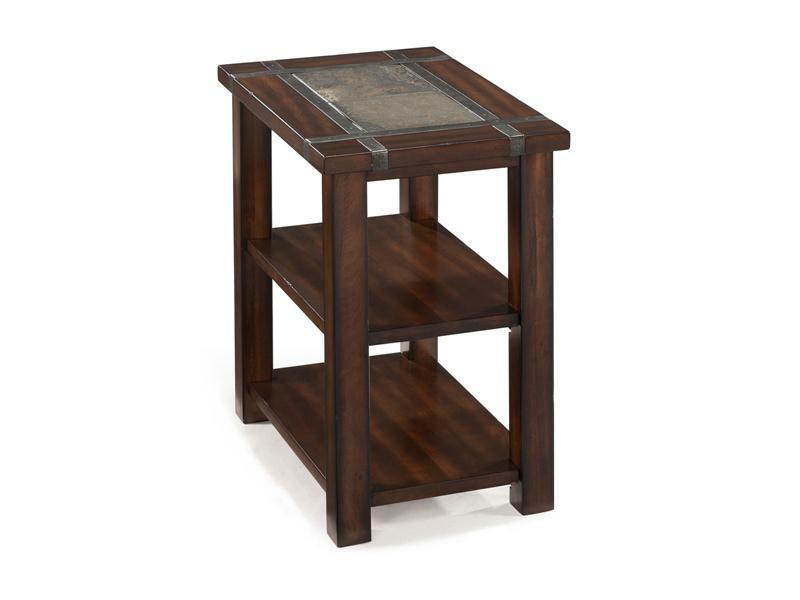 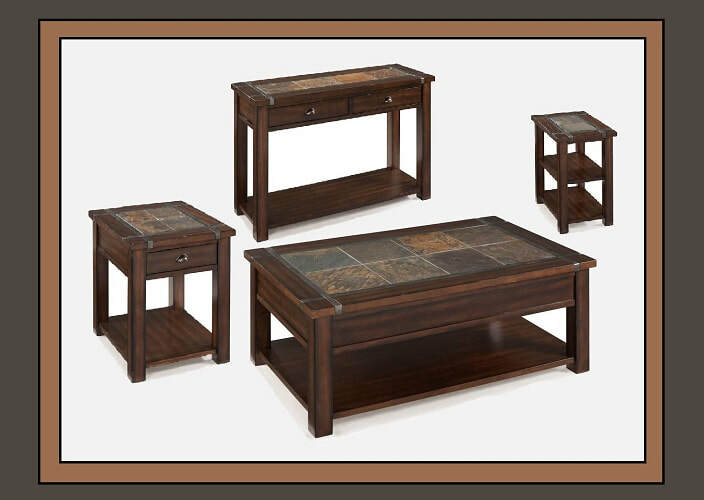 The vibrant slate inlay of the Roanoke Occasional Table Collection framed in wood and accented with pewter strapping and hardware is the perfect accent to any transitional or rustic decor. 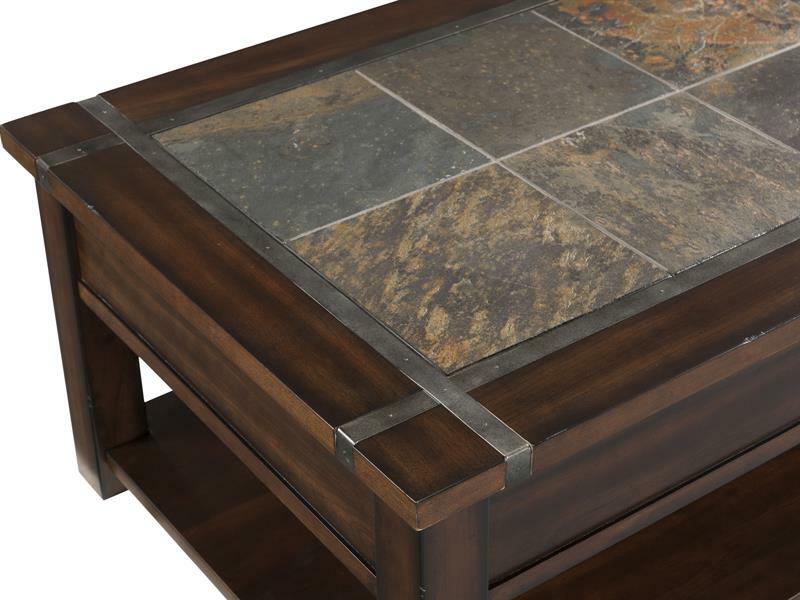 The naturally occurring variation in the colors of the stone contrasts with the high-lighted effect of the stained cherry veneer and creates a dramatic effect. 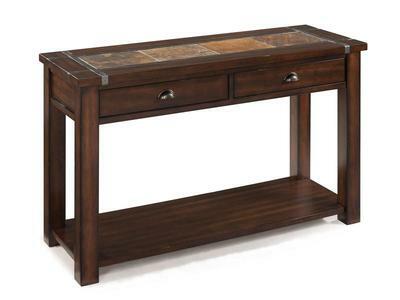 The sofa table features two drawers and the end table is available in two sizes, one with an additional draw for storage, but the real secret is the lift-top of the cocktail table adding function to natural beauty!